Egypt has been suffering from severe drought and is going to face an even stronger scarcity of water resources used for agricultural production. 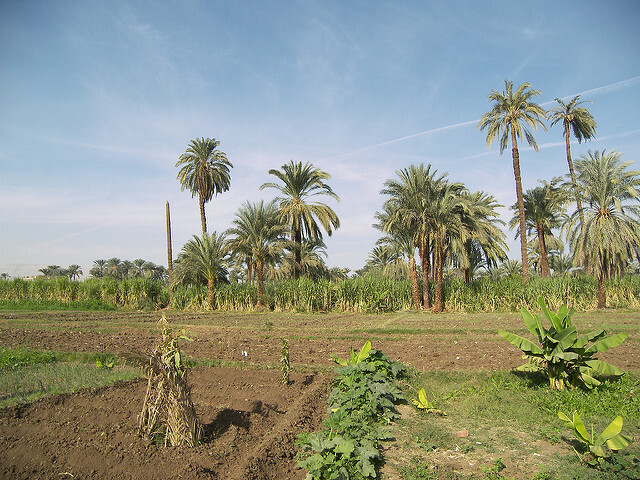 Nowadays, 80% of the available water in Egypt is provided to the agricultural sector. Within the prospect of ongoing horizontal and vertical expansion of irrigated agriculture in Egypt and the challenges faced by dry climatic conditions, the focus should lie on the improvement of the efficiency of water use in irrigated agriculture. The benefits of each drop applied could be maximised by adopting appropriate irrgation scheduling and adapted irrigation practices. This practice shows the raised-bed technology for improving water use efficiency and increase crop water productivity in the context of irrgated agriculture in Egypt. It has been tested and validated within a research project between 2004-2008 with winter and summer crops (wheat, berseem & maize, cotton). Read the full article and download the description via TECA | Technologies and practices for small agricultural producers.